DampRid is a product designed to prevent mold and mildew from growing in the home or office. The manufacturer produces a variety of products, all of which use calcium chloride to eliminate moisture from the air. DampRid uses calcium chloride crystals to absorb excess moisture from the air. The white crystals in the DampRid containers are calcium chloride. This chemical compound is composed of calcium and chlorine and can be generated by limestone. The crystals are typically white or colorless, but small amounts of mineral deposits can cause the crystals to take on a faint rust color. 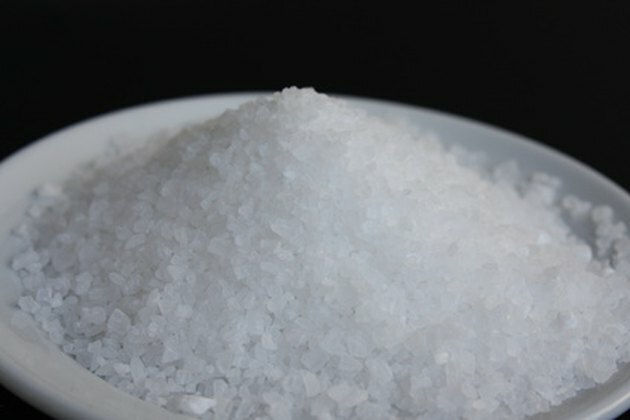 Calcium chloride is a deliquescent salt, which means that it has an affinity for moisture. As the crystals absorb the moisture from the air, they begin to swell and eventually become a solid mass. When the humidity level falls below 60 percent, the calcium chloride becomes dormant to ensure the air does not dry out to the point where it will harm plants, animals or clothing. Calcium chloride is an irritant, so use it with caution. Wear gloves while changing the crystals in the DampRid containers.